I’m on a vegetarian kick this week so my inspiration for tonight’s Idol recipe was a fancy version of a vegetable tray. 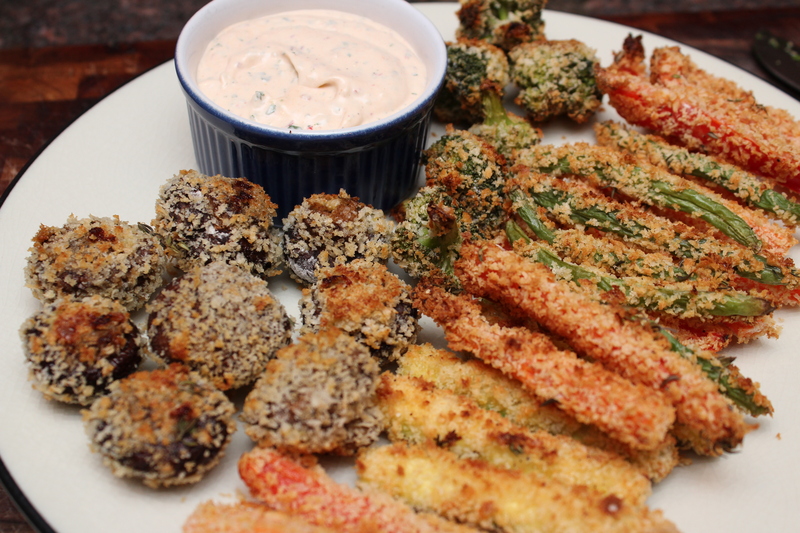 I love tempura anything but I wasn’t in the mood to make batter let alone fry anything so voila…a healthier yet equally delicious alternative! 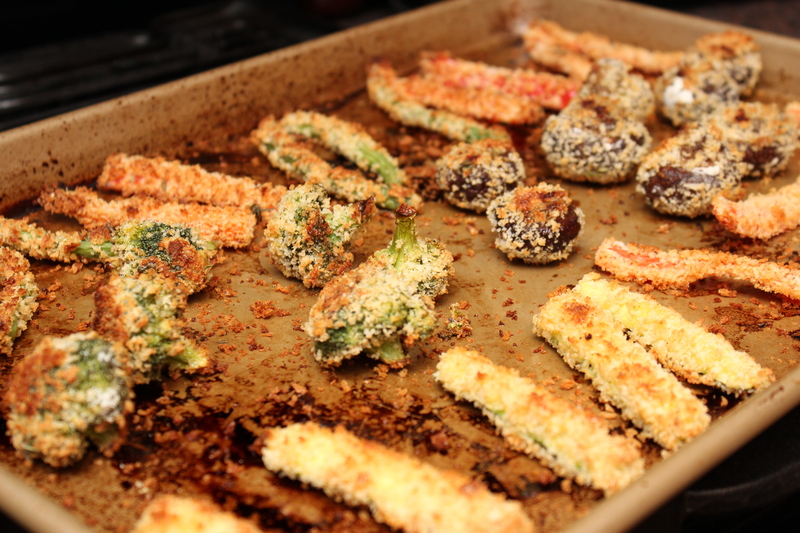 I was surprised at how easily the panko stuck to the veggies and they turned out perfectly crisp. 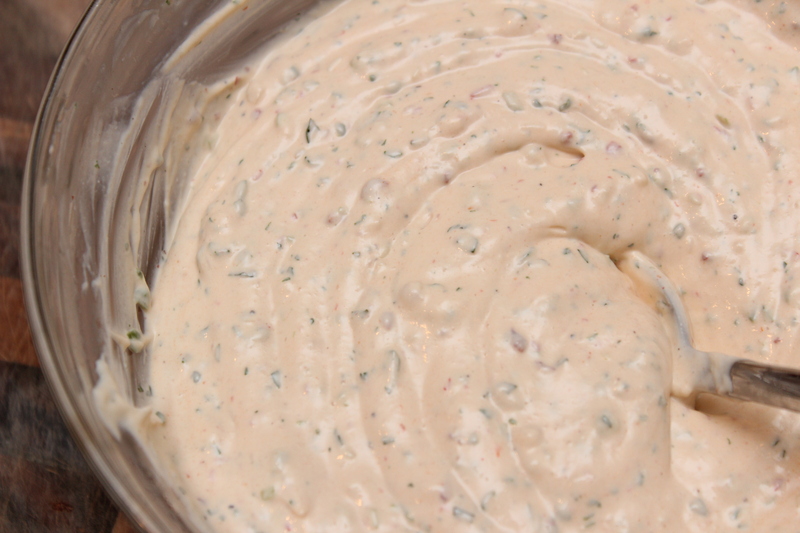 Dip them in the super easy chipotle ranch dip and it’s a pretty tasty snack. I’ll be heading to SXSW tomorrow so check back for full coverage! Also, check out today’s recipe on Lyndsey Parker’s Reality Rocks blog HERE! 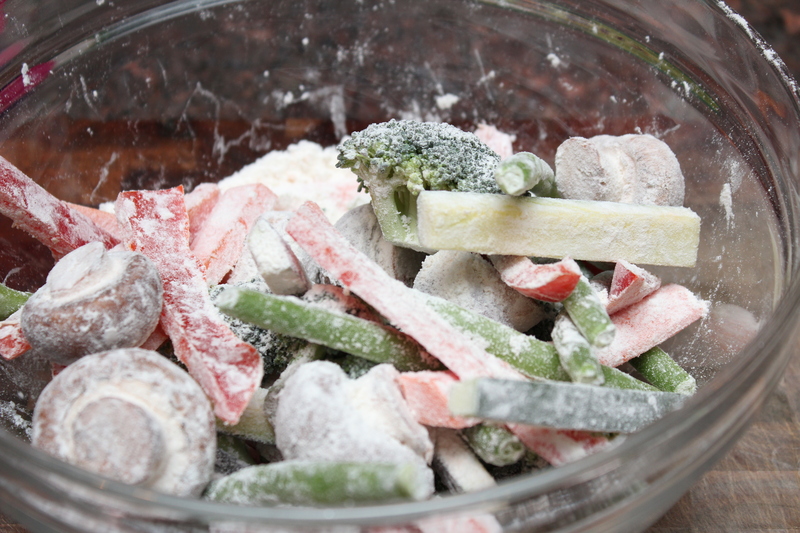 In a large bowl combine the veggies and flour. Toss until well coated. Lightly beat the egg in a large bowl. 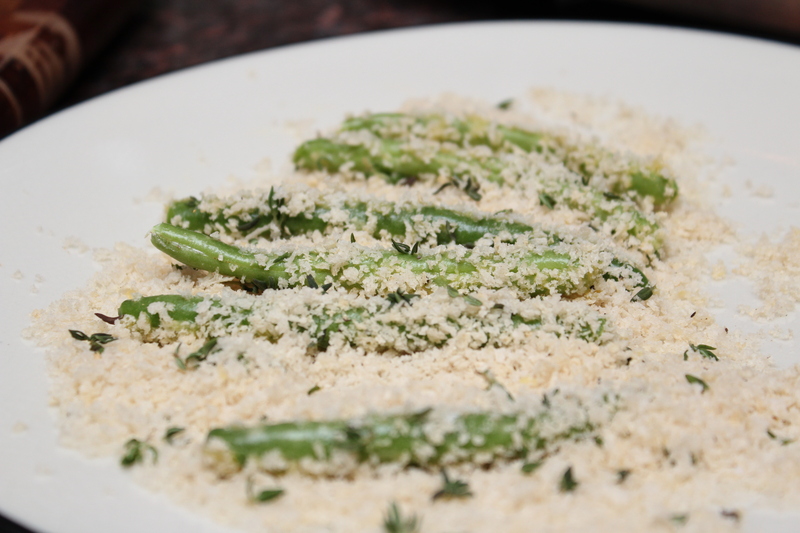 On a large plate mix the panko, salt, pepper and thyme. 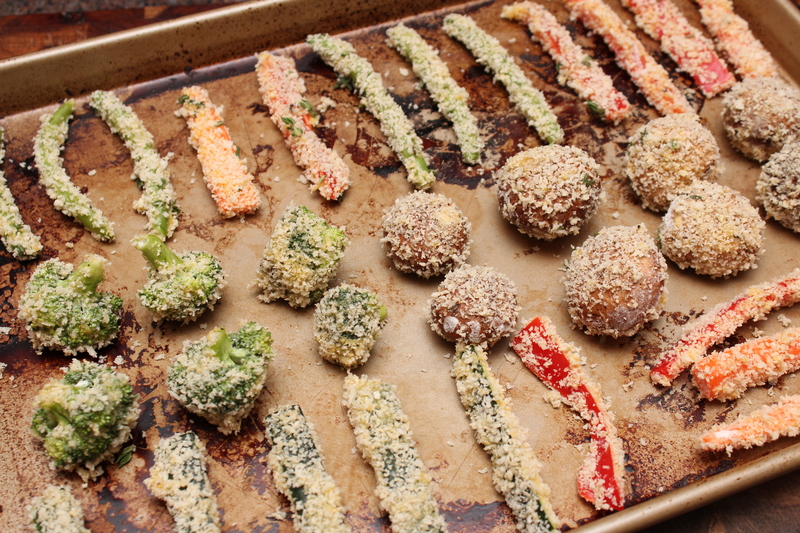 Dip the veggies in the egg then dredge in the panko mixture. Place on a large cookie sheet and spray with the olive oil spray. Bake until golden brown, gently flipping halfway through, around 20-25 minutes. 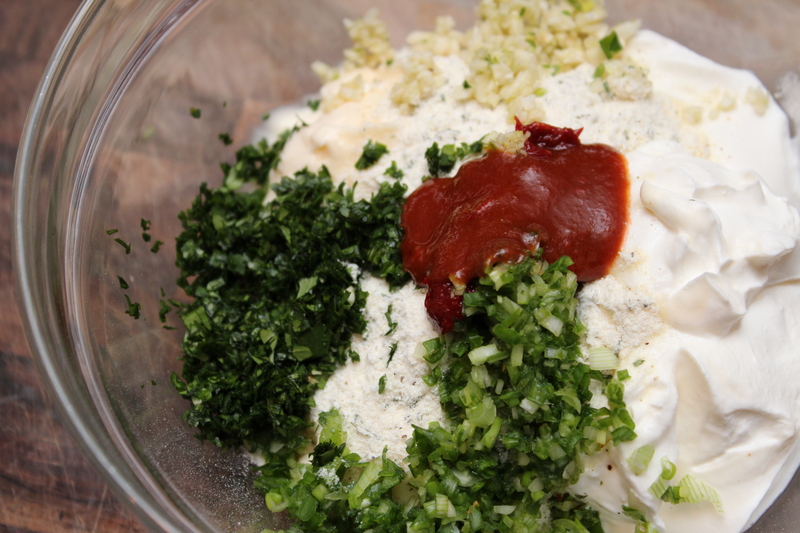 While the veggies cook combine all of the Chipotle Ranch ingredients in a large bow. 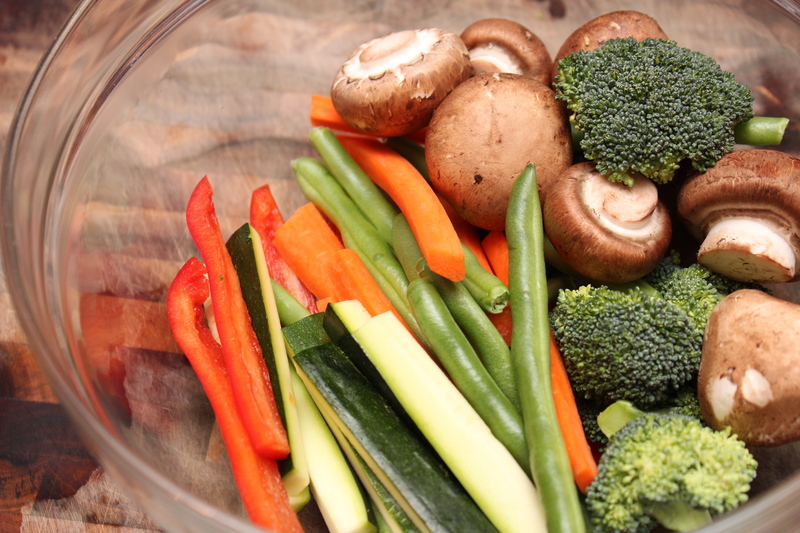 Remove the veggies from the oven and serve with the ranch.